In Community Supported Agriculture members pay in advance for a share of the ongoing harvest. By becoming a steward of the land, you are actively participating in a collective effort towards sustainability. You are ensured a portion of truly nourishing, locally grown food. 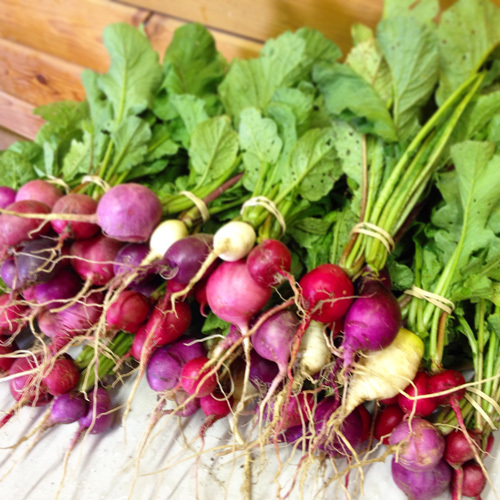 Every week from June through November, members receive a variety of freshly harvested vegetables. Since the nutritional value of produce declines significantly while on supermarket shelves, as a member you will enjoy the freshest, most nutritious produce available. With Ancient Oaks CSA, you can become involved by supporting our farm, knowing where and how the food is grown. You will share in the rewards and the risks experienced by the farm community that are inherent in agriculture. This means that in years of environmental or weather constraints, members may receive more of one crop but less of another. Why do we partner with Ancient Oaks? We have multilayered connections with the farmers. The word “Homa” in the name Ancient Oaks Homa Farm refers to a kind of fire meditation practiced on the farm. And after the homa fire meditation, agnihotra, is practiced, the ashes from the fire meditation are used to fertilize and balance the soil. Pure, organic, non-chemical food and soil grows beautiful vegetables soaked in sun and prayer. Put simply, these vegetables are grown with great love! Ancient Oaks Homa Farm members frequently lead free workshops at Baltimore Yoga Village in the practice of this meditation technique and some of our teachers integrate the fire meditations into trainings and classes as well. Ayurveda, the traditional health system traditionally learned and practiced alongside yoga, is tailored to the individual the same way a good therapeutic yoga class can be. There are no crash diets and broad sweeping rules, but rather, core principles that connect each person to their own unique nature. It is a qualitative science which mostly designates foods, herbs, and therapies by matching the qualities of these with the qualities of a person’s experience, balancing what feels dis-eased with substances of opposite and complimentary quality. Put simply, hot can be eased by cold; dense feelings by subtle substances, etc. Learning oneself is at the core of finding the balancing diet and lifestyle. 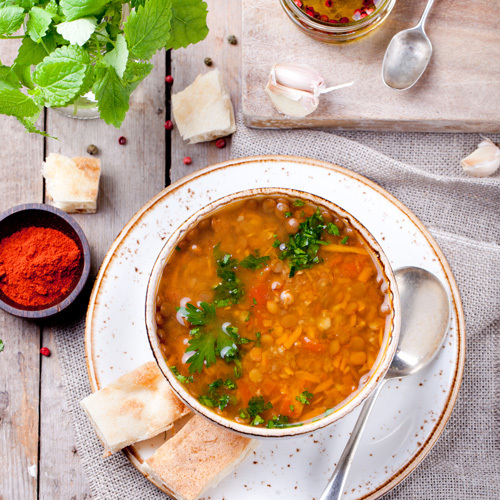 Ayurvedic nutrition classes help to flesh out these principles, explore a foods and cooking methods, and learn the qualities of particular foods. Ayurvedic nutrition is also addressed through private consultation with Anjali. Email baltimoreyogavillage@gmail.com to schedule a consultation.